The green aventurine is a crystal of the silica group (Si02). Color is green and varies from light green to dark green. It's shine on the surface and the matt, opaque. The zodiac signs for the aventurine are Cancer and Aquarius. The basic chakra for aventurine is heart chakra. How does aventurine work on the physical body? 1. Aventurine is an eye guard, improves vision, prevents the development of degenerative eye diseases and increases eye perceptions. 2. 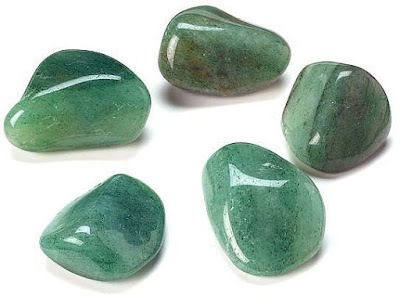 By placing on the heart chakra, aventurine alleviates all of the heartache caused by stress, emotional and accentuated reactions, sorrow, excitement, anxiety. It prevents the onset of infarction. 3. Action on the blood vessels - prevents the cholesterol depletion on the walls of the blood vessels, prevents the onset of atherosclerosis, thrombosis. It strengthens blood vessels and speeds up circulation. 4. 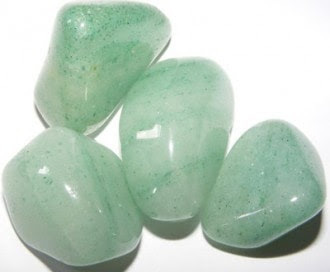 Aventurine is a stone of fertility, and also relieves urinary disorders. 5. People suffering from headaches and migraines caused by stress should carry aventurine with them. 6. It has an effect on the skin - allergy, eczema, psoriasis, pimples, acne, skin itching. 7. If we want to smash and reduce our desire for food, we need to drink an elixir from the aventurine. How does aventurine work on the emotional and mental body? 1. Aventurine is the crystal of the heart chakra, and, therefore, alleviates all the emotions that endanger the heart. 3. It can be placed in a children's room because it stimulates productivity in learning. 4. This is a stone of creativity, art, waking of vision and deeper perception. 5. Aventurine is protection from energy vampires, which makes aventurine as Crystal for Empaths. 6. Gives the feeling of happiness, joy, enhances marital relationships, communication. It can be combined with rose quartz on heart chakra or in combination with malachite - malachite on the solar plexus, aventurine on the heart chakra, for the stomach problem, which causes heart arrhythmias (raised diaphragm).